I think there are areas where we can find agreement, like extreme risk protection orders IF THEY’RE DON (sic) RIGHT, but this will also take time to get the language right to ensure people’s rights aren’t trampled, which is absent in the liberal process. It’s hard to discuss this with people whose sole goal concerning gun control is expanding government power. Then again, what else is new when dealing with Democrats. This is surprising coming from Matt Vespa, who is usually a fairly straight shooter. So let’s offer a brief rebuttal, shall we? First of all, it has to do with being a statist, not democrat, and democrats don’t have the corner on that market. Second, this embraces a false view of the state. The state isn’t God, and cannot know the future. Divination and spiritists are forbidden in the Holy Writ and being wicked, and red flag laws are based on pre-crime judgments, that is, someone makes a judgment (sometimes based on the determination of community witch doctors, or Psychiatrists), that a threat exists enough to deprive a man or woman of his or her means of self defense. This has nothing whatsoever to do with threats, which are already illegal. Third, we needn’t delineate between gun control, and gun control for the purpose of expanding government power. All gun control has as its purpose the expansion of government power, and all gun control is evil. Fourth, rights are trampled with red flag laws, Matt needn’t attempt to ensure this doesn’t happen. It happens as a function of the process itself. I could go on, but I’ll let readers fill in the gaps. How Does It Feel To Be On The Other Side Of The Muzzle, Cop? MOORHEAD, Minn. — Before 31-year-old Melody Gray was sentenced on Monday, Feb. 25, to serve 19 years in prison, the Minnesota state patrolman she attempted to shoot on Interstate 94 just east of Moorhead shared how that moment nearly a year ago changed his life. Peterson said through Clay County prosecutor Pamela Foss that his children later told him “how hard life would be without” him in their lives. Peterson’s wife also addressed the Clay County courtroom in a statement, writing how she and her husband now have a “new and refreshed appreciation of life” following the incident. A courtroom full of Minnesota State Patrol troopers, police officers, lawyers and other law enforcement officials listened patiently as Gray was sentenced Monday by Judge Tammy Merkins on one felony count of first-degree attempted murder and one felony count of possession of a firearm by a felon. So don’t pretend that this doesn’t happen to folks who aren’t cops. Folks get shot every day, and they are just as human as you, with all of the life to live as you and your family. And don’t pretend that when cops shoot innocent people, the roles aren’t exactly reversed, with felons shooting people who have precious life to live. Because that’s what a cop who shoots an innocent person is – a felon, even if the courts won’t call him that. And when a cop points a firearm at an innocent person, it’s as much assault with a deadly weapon as when the girl did it to you. This is a bit wordy. DENVER–The “Red Flag” bill moving through the Colorado Legislature has been the subject of plenty of debate, but as it stands now, for persons against whom even a temporary Extreme Risk Protection Order (ERPO) has been issued, there is a risk they could be trapped into inadvertently violating federal gun control laws. House Bill 19-1177 requires that at the initial ex parte hearing (where the subject is excluded), and based on a judge finding by a preponderance of the evidence that the person meets the “danger to self or others” standard, a ruling issuing a temporary ERPO and search and seizure warrant to confiscate guns is required. A strict reading of the federal law suggests that a person under any ERPO has been “adjudicated as a mental defective” by a judge and is barred from all gun ownership from the federal perspective. The potential threat to gun owners is that even if the judge declines to issue the year-long order, there is still an adjudication and a temporary ERPO on record that arguably prohibits people from getting their guns back until another court proceeding required by federal law to relieve that disability is held. As well, an ERPO that expires without further court action at the end of the statutory time period of 364 days doesn’t meet the standard for relief from the federal gun-ownership disability. Prior to 2008, a judicial finding that a person was a danger to himself or others permanently revoked a person’s right to keep and bear arms. This disqualified many people suffering from temporary mental health issues from gun ownership for life. The federal NICS Improvement Amendments Act of 2007 provides, among other things, a pathway for people who were barred from gun ownership due to temporary mental illness to regain their rights once they are no longer in crisis. The 2007 federal law says that a state can provide relief from the federal ban by creating a program for granting relief in state law. The law must provide that a “state court, board, commission or other lawful authority” grant the relief. The catch is that only persons who have been “found to be incapacitated,” “committed by order of the court” to the custody of the state, or for whom the court has entered an order for short term treatment or for long-term care of a mental health disorder are eligible to petition for relief. The bill does not address this situation, meaning that the subject of either a temporary or year-long ERPO might not be eligible to petition for relief under existing Colorado law. Both federal and Colorado statutes say that persons taken in for observation on a 72-hour mental health hold or those who voluntarily admit themselves to a psychiatric facility do not qualify as being “committed to a mental institution,” which is another event that disqualifies gun ownership. But the Colorado ERPO bill doesn’t require a person adjudicated as dangerous to get any mental health treatment at all. This potentially puts people who are issued temporary ERPOs pending a full hearing, those who are not issued an ERPO at the full hearing and those for whom an ERPO expired without further court action in the position of having to go back to court to relieve the federal prohibition, if they even know they must do so, only to find that they are not eligible to petition for relief under state law. As I said, it was a bit wordy but I think I’ve got it. The Colorado law may put people in “no-man’s” land where he can’t even use what little federal relief there is to get his property back or ever purchase firearms again. But take note of the comment, which pointed me to this startling passage of the bill. 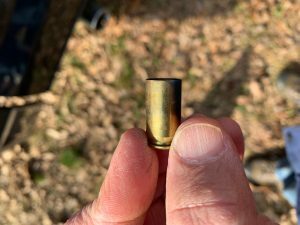 Taken without any other context – which it would appear the way this passage is posed – it seems to say that mere possession of a firearm, if deemed unsafe by just about anyone connected to the person, can be a justifiable reason to disarm him. Oh Colorado. What have you done by letting so many Californians into your home? A Mauldin police officer was arrested and placed on suspension after he was charged with pointing a firearm at a female victim early Sunday morning, according to authorities. 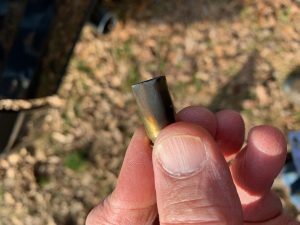 The officer was taken into custody Sunday after Greenville County sheriff’s deputies were called to investigate a disturbance involving a firearm, Lt. Jimmy Bolt of the Sheriff’s Office said in a statement. Bolt said deputies responded to Sprouts Grocery in Simpsonville early Sunday in reference to a disturbance involving a firearm. A female victim told deputies that she and a male acquaintance had gotten into a verbal argument at a residence, after which the man retrieved a gun, pointed it at the woman and told her to leave, the Sheriff’s Office report said. After fleeing, the woman called the Sheriff’s Office, the report said. Deputies took the man into custody without incident and he is currently being held in the detention center. Mauldin Police confirmed the man was employed as a police officer with the department, but has been placed on suspension. The firearm that was used during the incident was a personally owned firearm and not his duty firearm, Bolt said. A wee bit violent, yes? Assault with a deadly weapon, it is. At least he didn’t use his service weapon. That means he’ll be back on the force in no time from his paid vacation.